Get a sharp, prime view of faraway landscapes and galactic sights with these astronomical binoculars. Their high quality prisms and multi-coated optics allow the highest levels of light transmission that boost the contrast and overall viewing experience. This rugged gadget goes above and beyond. 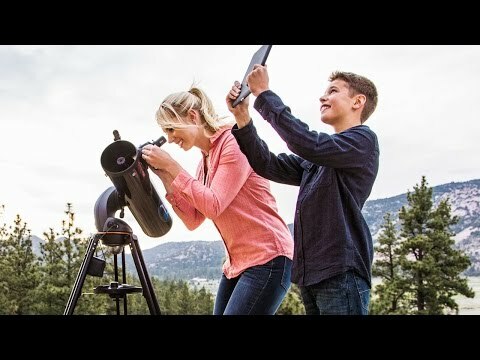 Dimensions: 10" x 4" x 9"
Celestron is the equivalent to getting VIP seats to your favorite show . . . the universe.